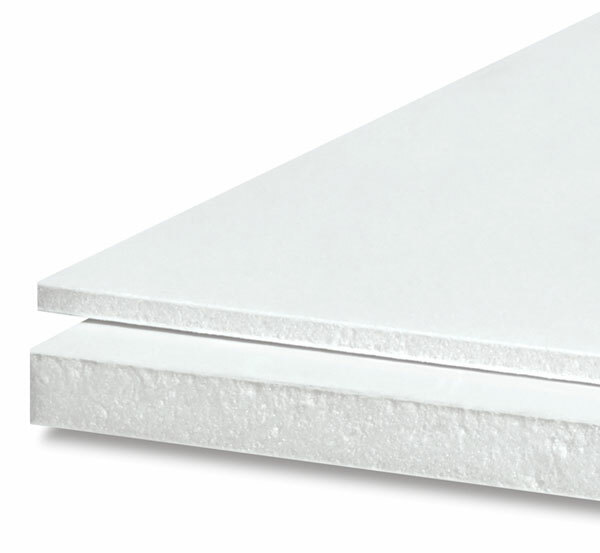 Gatorfoam is a lightweight, rigid display board with a polystyrene core and white surface. The core is very dense and firm and the surface is a wood fiber veneer laminate impregnated with resin for water resistance. Gatorfoam cuts cleanly with a knife, saw, or router. Choose Gatorfoam for your most durable displays, signage, and mounting surface. Sheets measure 32" × 40" (81 cm × 102 cm). ®Gatorfoam is a registered trademark.